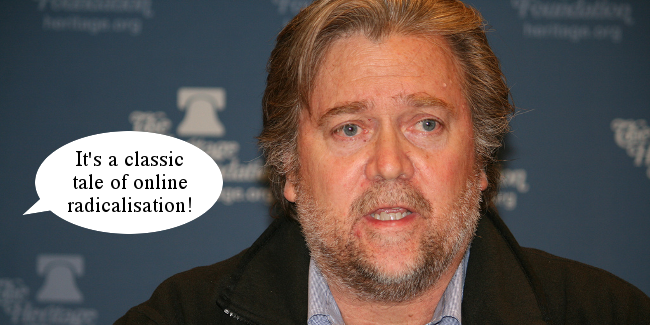 Street-fighting in Charlottesville, Virginia; the defenestration of Donald Trump strategist Steve Bannon; YouTube’s latest plans to deprive creators of ad revenue; and former Mail hack James Chapman’s cries for a new remoaner British political party are the three topics (Ed: Um…) this week. Joining us is comedian, musician and podcaster Christopher Bingham, better known as Bing, who can be found on YouTube, Twitter and on his tech podcast I Will Save You From the Future. Also here, for everything else.